Whatever feminine means to you, you can be sure there is a WordPress theme out there that caters to your needs. From professional to personal, blogging to eCommerce, there is a variety of WordPress themes available that come with a feminine touch to make your website stand out. However, trying to find the perfect one can be exhausting. That’s why we have taken it upon ourselves to round up some of the very best feminine WordPress themes on the market today, so you don’t have to waste any time in finding the perfect one. Designed with elegance in mind, the ability to relate to a female audience, and the flexibility to brand it your own, these feminine themes are sure to establish you as an unbeatable competitor amongst others in your industry in no time. 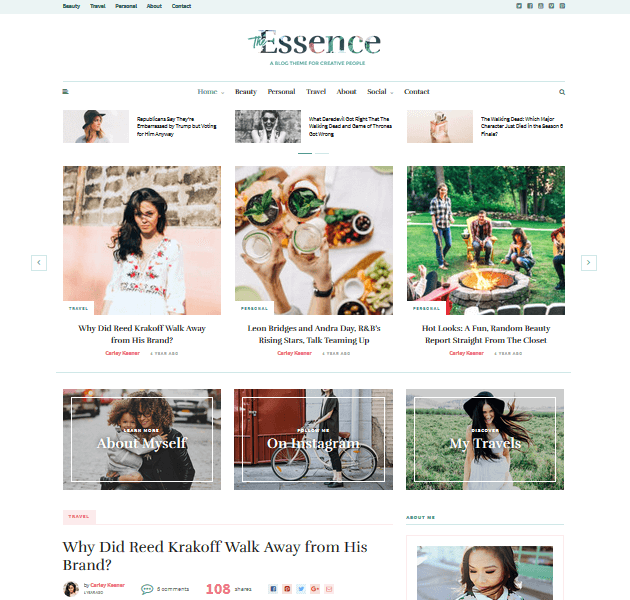 The Essence is a feminine theme perfect for all types of creatives. With 17 different log layouts, mobile-friendly design, and custom widgets for added functionality, you can easily create a beautiful website catering to those who enjoy all that is girly. In addition, enable the built-in social share buttons for better site exposure, create custom homepage promo boxes and display them above your homepage’s content, and know that your site will always perform at its best thanks to clean code, cross-browser compatibility, and SEO optimization. 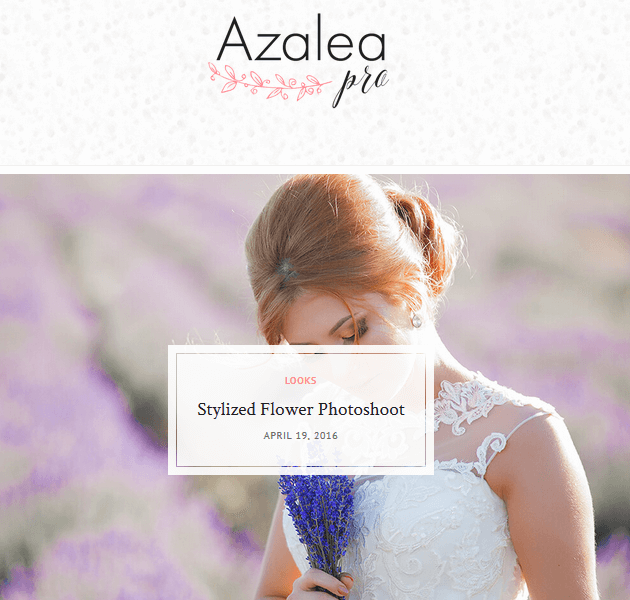 Azalea Pro is an elegant blog and eCommerce shop theme that has a soft feel, beautifully designed typography, and aesthetically pleasing color schemes that cater to your female audience. It is WooCommerce compatible, has a free pre-made logo, and comes with sticky navigation for the ultimate user experience. In addition, you can change all site elements – colors, fonts, header backgrounds, widgets, and more – plus translate your site’s content to reach a global audience. Gleam was “built to dazzle” and give readers the flashy design and superior experience that is expected from all websites. Start by creating a full-screen portfolio and showcase your best work, content, or photography. Next, utilize Elegant Themes’ full library of shortcodes and get your website functioning in the special ways you want it to. Lastly, choose from pre-made page templates, change every site element using the ePanel, and enable smooth AJAX loading so your content draws attention and is viewed in full. The Voux is a stylish magazine theme with a light and feminine feel to it for the female audience that frequents your website. It comes with several pre-designed demos that are easily customized using the drag & drop page builder Visual Composer. It also comes with full WooCommerce support so you can create an online shop and supplement your income by selling your best products and services. Enable social sharing, infinite page loading, and make it easy to navigate your site with the Mega Menus you can create using tags, sub-categories, or categories. 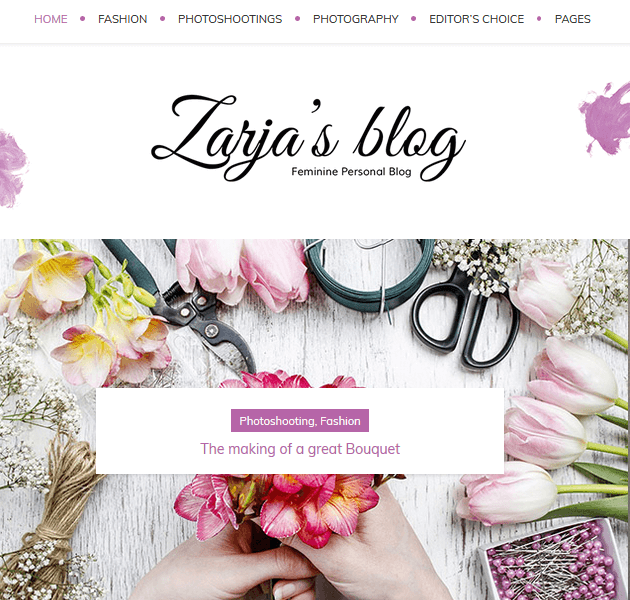 Zarja Blog comes with a creative design that is easy to customize should you want to integrate an elegant and girly feel to it. In fact, Zarja Blog comes with a manly version (Brixton) making this theme 100% feminine. Enjoy responsive design, unlimited colors, a built-in Instagram feed, cool animation effects, and tons of Google web fonts for branding your site to match your personality. In addition, add multiple content types – video, audio, gallery, and more – and know that your website is SEO optimized for being found in all major search engine results. 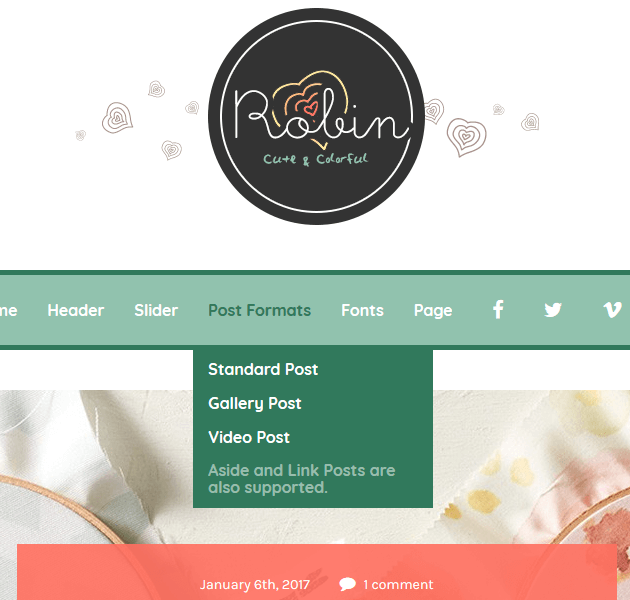 Robin is a cute and colorful WordPress theme for those who want to share handmade items, crafts, and other typically female hobbies. It supports WooCommerce so building an online shop is a breeze, it has built-in ad banner management features for increased site monetization, and comes with 12 custom widgets for extra visual appeal. Lastly, Robin is fully translatable, lightweight for optimal speed and performance, and has three beautiful fonts to choose from for making a standout website. 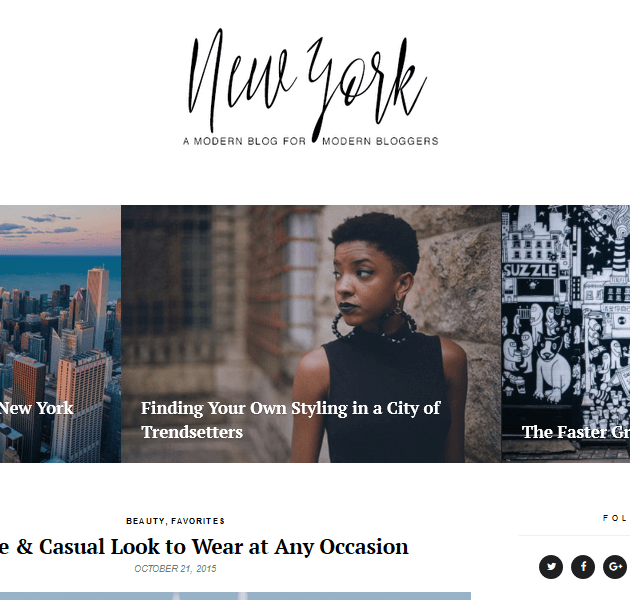 New York keeps bloggers in mind that seek a clean, minimal, and fast-loading website that will grab site visitor attention from the get go. More so, it comes eCommerce ready for building an online shop, offers website owners customization options for making it more feminine, and is great for site visitors no matter what device they access your site from. Translate your content and reach a wider audience base, enable the sticky menu for better site navigation, and even style post gallery sliders to encourage more site engagement. 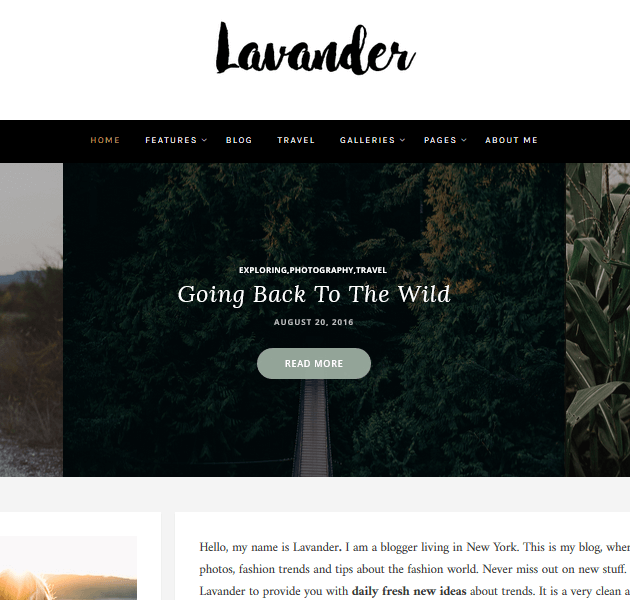 Lavander is a classic blog theme that works on all devices and screens, and comes with 6 pre-made demos for getting your site up and running in no time. It has built-in SEO optimization, optimal readability, and 6 different blog layouts to choose from depending on your individual needs. In addition, you can choose a stylish Google Font to match the chic feel you are aiming for, build a beautiful slider using the included Slider Revolution plugin, and take advantage of its creative design for appealing to the female audience everyone else is after as well. 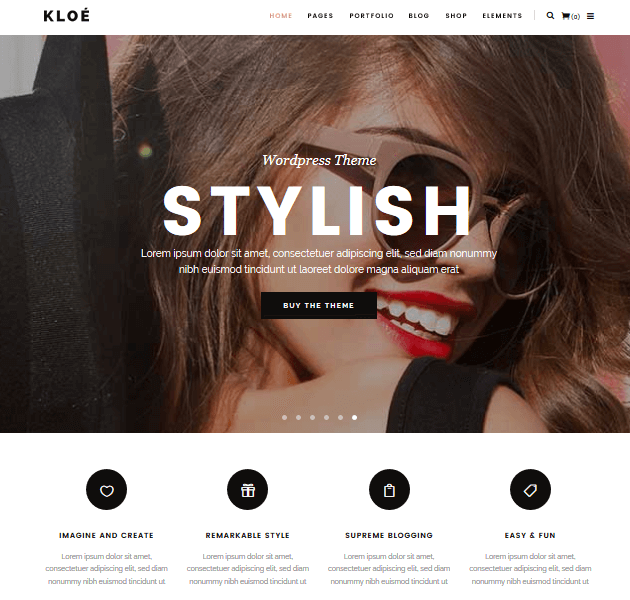 Kloe is a lifestyle, blogging, fashion, and business theme that adheres to a feminine design but adds a powerful punch of style as well. Make your site a blogging site, a portfolio for sharing your best work, or an online shop for making money. Choose from 14 glamorous homepage layouts, integrate a video background, and pick from 15 smooth page transitions and impress anyone that dares to click on your edgy website. 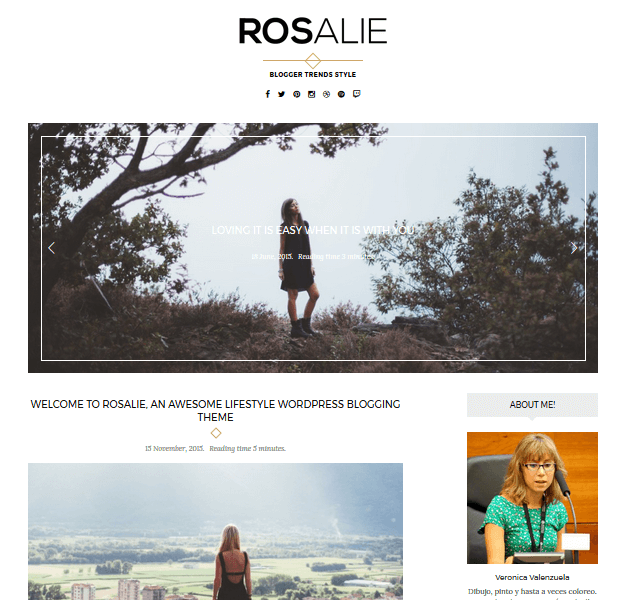 Rosalie is a modern blog theme with a girly twist and minimalist feel, and is specifically for those with a fashion, lifestyle, or crafting blog. It is fully responsive and mobile-friendly, has plenty of features for adding color, background images, Instagram images, and multiple content types. There are 5 widget areas for customizing your layout, the option to upload a custom logo for branding purposes, and built-in social icons for increased sharing capabilities. 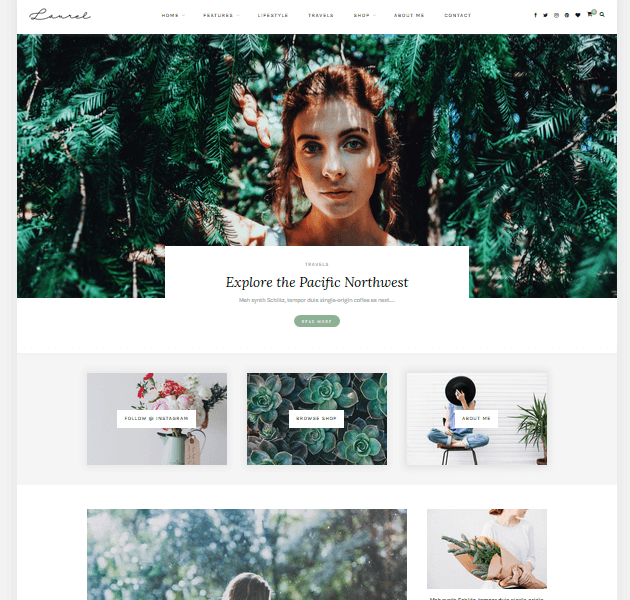 Laurel comes to you as a graceful blog and shop theme with plenty of post layouts, loads of color options, and 100% responsive design for catering to all of your site visitors, even those on-the-go. There are 3 promo boxes available underneath the beautiful featured slider you create, custom styling options for the MailChimp for WordPress Plugin and WP Instagram Widget, and social media icons in both the header and footer sections. In addition, Laurel is translation ready, has sticky menu capability, and 5 blog layouts including a grid and list layout option. 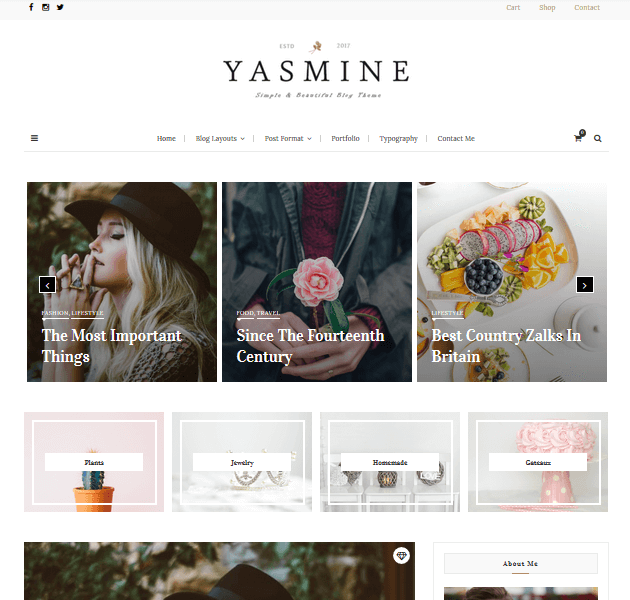 Yasmine is a multipurpose theme that boasts being elegant, stylish, and best of all powerful, just like today’s modern woman. Packed with more than 150 theme options for the ultimate customization experience, this feminine theme will not only look good, but function at its best, no matter what type of website you run. Enjoy custom typography, full social media support, 3 sidebar positions, and tons of custom widgets for adding things like video, audio, social media, advertisements, and even sliders. And there you have it. 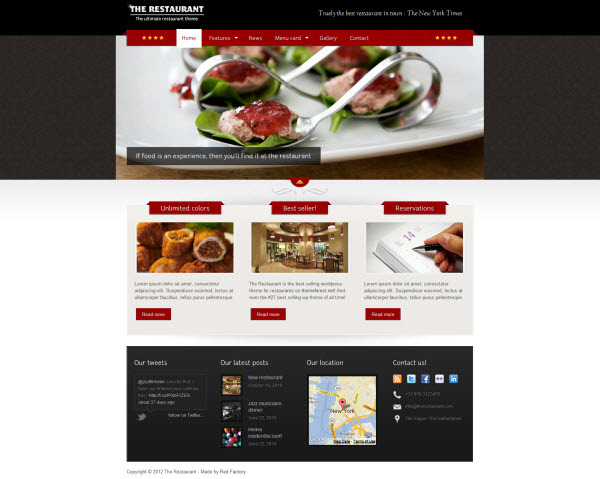 Some of the market’s most feminine WordPress themes. Some come girly and cute, some have a power that resonates with the independent woman, and some are just classic by design. 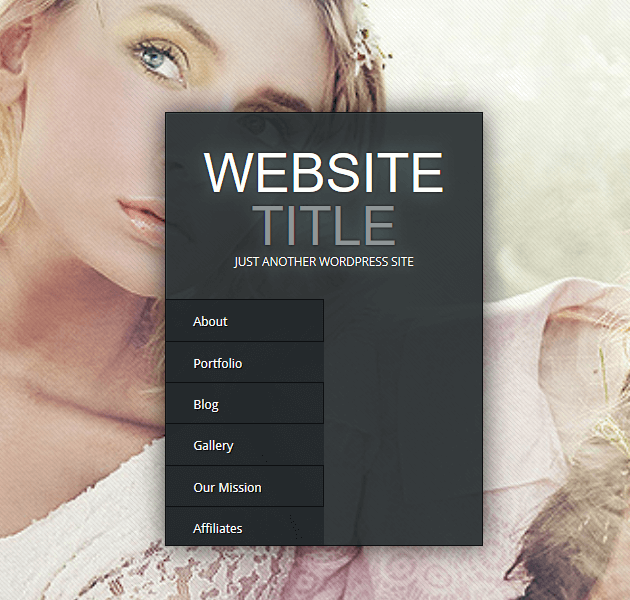 Altogether, there is surely a feminine WordPress theme meeting your needs in this roundup. In fact, there is sure to be one waiting for you to customize and share with your women followers. Have you used any of the above-mentioned feminine WordPress themes? Have I left one off the list that you think should be included? I would love to hear all about it in the comments below!